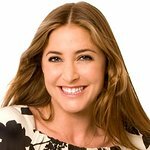 Lisa Snowdon is an English model, radio DJ, and television personality. In 2005, Snowdon became an ambassador for Breast Cancer Care. Snowdon participated in a celebrity edition of The Apprentice in order to raise money for charity, part of the BBC’s biennial Sport Relief event. Google trends for "Lisa Snowdon"
We don't have any videos related to Lisa Snowdon.